HR Managed Services - _ Vertical Bridge Corporate Consulting Inc._ Vertical Bridge Corporate Consulting Inc.
You’ve got something the world needs and you’re growing fast. It’s an exciting and nerve-wracking time. You know that attracting and retaining top talent is key to keeping your company on its growth path. But you also can’t afford to tie up too much capital at this critical stage of growth. Building an in-house HR team is expensive and using agency recruiters quickly adds a minimum of 20% to a new hire’s salary. Do you take the gamble and go without Human Resources and recruiter expertise? What happens when you try to handle HR and recruiting yourself? Vertical Bridges’ Managed Services offering was designed specifically for organizations that do not have “in-house” or local HR and/or recruiting support. These services are all encompassed in one monthly fee based on a one-year renewable contract. You get the best of both worlds: Experienced HR & recruiting firepower in a way that reduces the impact on your cashflow and bottom line. Our service is customized to your situation. Managed Services brings you the advantage of years of HR and recruitment expertise and it scales with you as your business needs evolve. Managed Services from Vertical Bridge can transform the way you secure and retain your primary source of competitive advantage – talent – by optimizing the entire recruitment process from workforce planning to structuring and negotiating offers, while providing HR processes and infrastructure for employee engagement and retention. Delivered both on-site and remotely depending on the nature of the work, Managed Services are not transactional – we aim to become embedded in, and dedicated to, your business; sitting next to you to learn your business inside and out, soaking up your culture; becoming one of your biggest evangelists while providing HR solutions designed specifically for your company. For a monthly fee based on a one-year renewable contract, this partnership approach means we behave as your organisation’s Human Resources team; not only as the engine of your recruitment program but also building the HR infra-structure and foundation to enable you to grow your organization. Vertical Bridge has a vested interest in your organization’s success! Here are two scenarios based on real-world clients. 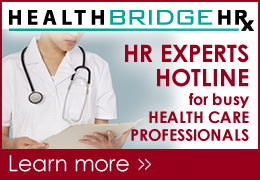 Can you relate to their situation and HR challenges? The Client: A fast-growth tech company needing to hire 10+ people in 12 months. Paying the traditional contingency recruiting fees charged by agencies was going to be cost prohibitive. In addition, with these hires effectively increasing the employee headcount from 19 to 30, it was time to put into place some HR basics and best practices. However, the company determined that it was too early in their growth and too expensive to warrant the hiring of a full time in-house HR professional or recruiter. The Solution: Vertical Bridge provided a “managed services” model with on-going HR support consisting of an HR consultant on-site 1 day per week along with full cycle recruiting support provided by one of our dedicated tech recruiters. The Client: A large national retailer with HR located in its head office in Ontario. With no local HR representation, the company had been experiencing some challenges recruiting quality people for their different B.C. locations. As a result, the decision was made to outsource the local HR and recruiting function to a consulting group based in Vancouver. The Solution: Vertical Bridge’s “managed services” model provided on-going HR support and coaching to employees and/or managers on an as needed basis to assist with any people management challenges, handling employee queries such as pay discrepancies, vacation requests, coaching on performance issues, attending and assisting at terminations, etc. In addition, the Vertical Bridge consultant also provided recruitment support to the HR Team at the company’s head office based in Ontario.